Okay, I will admit that I am a picture book junkie. Even as my own children outgrow picture books and move into chapter books, I still collect picture books to share with my students as well as read with my own kids. Picture books are glorious short stories with inspiring pictures that speak about big ideas in a limited amount of words. 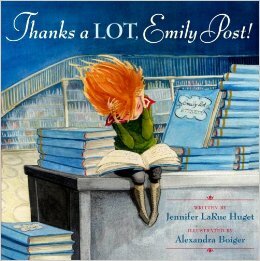 Previously, I have written blog posts on the power of picture books to inspire students of all ages. I have found so many new great titles that I will be sharing with my middle school students for read alouds, genius hour, and just for fun. Because books have the power and potential to allow their readers to experience and see so many layers of ourselves and our world, teachers must select and read a wide variety of literature with diverse perspectives. As Sue Christian Parsons pointed out at ILA 2015,” [teachers must] work diligently to ensure that the books in our classrooms shine brightly as mirrors and, for readers to see themselves readily in book around them. I am defining diverse books as books that honor the complexity of life and people. At the same time, diverse books go beyond just diverse characters, settings, and experiences. 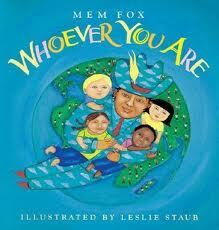 Diverse books can also include a wide range of genres and types of text. Whereas picture books are prevalent in elementary classrooms, they also have a place in middle school classrooms. Pictures books offer stimulating artwork, accessible language, a smaller amount of text than a novel for. Picture books can be used for read alouds, introducing a complex idea, whole class modeling, enrich vocabulary and word development, and even creative writing prompts. I have used the Mysteries of Harris Burdick as a read aloud and creative writing prompt to kick off a mystery unit. To introduce complex ideas of communism and socialism during our dystopian unit I read aloud Click, Clack, Moo by Doreen Cronin and pair it with Farmer Duck by Martin Waddell. While students are reading To Kill a Mockingbird and Melba Patillo Beals’ memoir, Warrior’s Don’s Cry I have read aloud Freedom Summer by Deborah Wiles, Teammates by Peter Golenblock, and Separate is Never Equal by Duncan Tonatiuh. In my classroom have a bin filled with picture books and poetry anthologies about the Holocaust and Japanese Internment. I kicked off Genius Hour this past year by reading aloud What Do You Do With an Idea? by Kobi Yamada and Mae Besom and also The Most Magnificent Thing by Ashley Spires. Picture books are accessible books for students of all ages. They offer layers of stories told through words and images. They should not be left behind when students move up from elementary school. 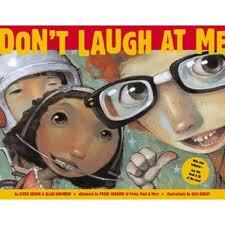 I would love to know how you are using picture books with your middle grade students. Please share your ideas for picture book text pairings and how you are using pictures books in your middle school classroom in the comments section of this blog. Mean Kids: Stereotype or Truth in YA Literature? The following blog post stems from a Twitter conversation that ensued between teacher and blogger Brian Wyzlic, best selling author Lauren DeStefano, and myself. @LaurenDeStefano @brianwyzlic Yes, but why do We read about so many mean kids in YA lit and have bullying epidemic in our schools? Another sidebar, my fourth grader has a battle of the books right now and is required to read eighty books in the next three months so every night we read aloud to each other one of the required books (we have read 16 so far). 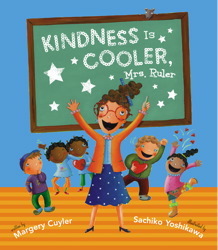 In January we finished reading Wonder by R.J. Palacio and this week we read Cynthia Lord’s Rules. 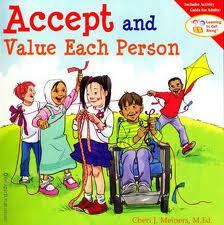 Both books are about young people with disabilities. Also, in both books there are situations where young people are mean to these characters blatantly and overtly. In one scene in Rules a neighborhood boy teases and taunts the main character’s brother (who is autistic). My son stopped reading aloud and asked, “Why is this kid so mean to him?” And for the next ten minutes I proceeded to explain that there are mean people in this world and I can’t really explain what makes someone mean. Thus, these two events within 24 hours of each other had me thinking about all the meanness that is in young adult literature and my own struggles to promote a culture of caring in my middle school classroom as well as instill empathy and caring among my own two children. 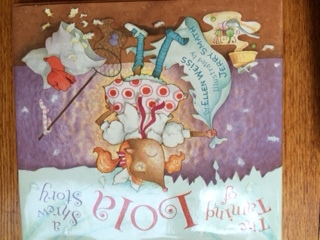 This picture book is a play on words with pictures as important as the words. Addresses cyberbullying and how bullying happens outside of school. A poignet tale about a little girl who is teased for wears the same dress to school everyday. Encourages kids to stand up for others. 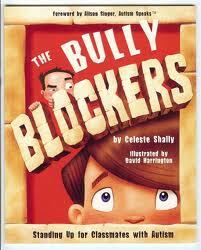 Marlene is a bully on the playground until someone decides to stand up to her. Monica and Katie have been friends since they were little but now Katie embarrasses and excludes Monica. Why would a friend do that? An amazing author, Otoshi plays on numbers to show that everyone counts. Kids are afraid of Mary Jean because she rules the playground but one person turns that around. A new girl moves next door. When they play together she makes demands and is bossy. Carly comes up with a plan the next time the girls play together. Building self confidence an encouraging others to celebrate their strengths and differences. This is a favorite among my students that addresses the sometimes cruel behavior among adolescents. This was a moving book that I required all my 8th graders to read last year because it addresses all perspectives of bullying and how being a bully or bystander is not static. An anthology from all different young adult authors addressing all different types of bullying. Told from the perspectives of the bully and the victim who lands in a psych ward after attempting to take his own life. A guidance counselor comes back to school after her teenage son is killed in a car crash and now back to work the injustices in the high school she is in is magnified. I am told that A.S. King is one of the best YA writers of our time. Lucky Linderman is a target of bullying and escapes in his dreams to a place where he is a hero. Sam has Tourettes Syndrome, or T.S. and struggles to be accepted by his peers and step father. Sam goes on a quest to find about his father and more about himself. Catherine’s brother is autistic and her best friend is in California all summer. A new girl moves next door but will she be understanding of Catherine’s brother and could they be friends? One of my all time favorite YA books about being who you are and not following the crowd. August was born with a facial difference and homeschooled up until now. Starting 5th grade at a new school he just wants everyone to treat him like an ordinary kid. I am a neat freak. 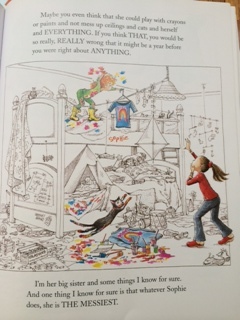 Yet, my children have a collection of of books about messy children. Some of these books celebrate messy where others offer messages how keeping cleaning is important. Here is the beginning list of books about the delights and horrors of messy, dirty, and just plain gross. “There once was a girl who wouldn’t brush her hair . . .” the story begins. Although the main character will take a bath every night, she will not brush her hair. 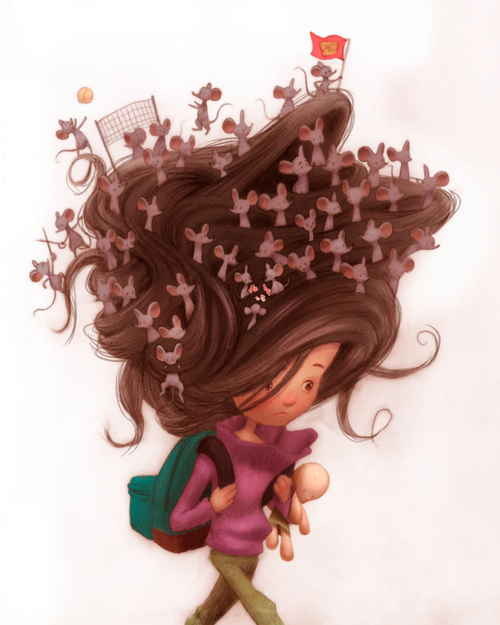 And then one night a mouse takes residence in her tangled hair. She is okay with it and more and more mice move into her tangled and hair. They eat her food and convince her not to take baths anymore. She starts to smell and loses sleep. This is no good. She devises a plan so that the mice will leave her hair. 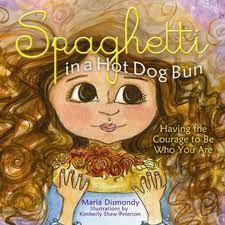 This book is told from the perspective of neat and perfect Olivia, older sister to messy and clumsy Sophia. Sophia’s room is a disaster and she gets everything messy in a matter of seconds. “You wouldn’t want her in your new car,” Olivia declares. As much as Olivia wants her sister to be neat like her, her family makes her realize that Sophia is caring, kind, and creative, despite being messiness. Like Sophia in Super-Completely and Totally the Messiest, Sloppy Joe is messy but he has a kind and caring heart. He admits, “I slurp, spill, slouch, talk with my mouth full, and put my elbows on the table.” But when his family gets the flu, Sloppy Joe takes charge as Neat Joe to help everyone get better. 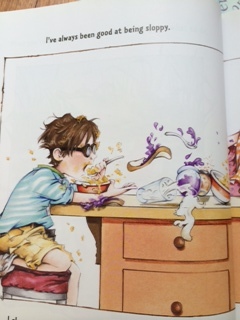 Although, Sloppy Joe has some connections to Amelia BeDelia, despite wanting to change, his parents love him just the way he is with the old stale sandwiches in his room and mud on his sneakers. Spencer has too many toys and when his mother decides it is time to donate some of them, the negotiating begins. What should stay and what should go? In the end there is some consensus, but the box with the donated toys makes the best toy ever. The mountains of toys that Shannon illustrates on each page might be a child’s delight and a parent’s worst nightmare. For four brothers and sisters, when their mom brings home a book by Emily Post, new rules dictate their behavior. No elbows on the tables, no talking while chewing food, play fair with others. The children decide to take matters into their own hands and give their mother a bit of Emily Post’s advice too. 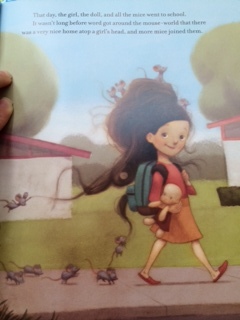 The book’s illustrations are great with lots of emotion in each of the characters presented. Although this book is not about being messy, it is about an obnoxious young mole who is a handful. This picture book is a play on Shakespeare’s Taming of the Shrew. Weiss and Smath, present Lola with a bad attitude and awful temper. When Lola’s cousin comes for a visit, she meets her match. Lester is just as stubborn, demanding, and as rude as Lola. Lester’s visit holds a mirror to Lola as they battle each over the silliest of things. For Chris, Andrew, April, Jenna, Carly, Raquel, and all teachers who inspire creativity among young people. Here is a list of a dozen picture books that celebrate visual arts, creativity, and making something from nothing. These books are not about famous artists like Pablo Picasso, Georgia O’Keefe, or Jackson Pollack. Rather, this list is based on characters who celebrate art and originality as in The Art Lesson by Tommy dePaola, create rocket ships and skyscrapers from empty boxes in Antoinette Portis’ Not A Box, and that anyone — even a squirrel living in Central Park — can be an artist as described in John Lithgow’s Macawber. Read, share, and enjoy! Recently, a friend asked me for a list of books to share with her son’s first grade teacher that celebrate difference. Her son has special needs and many of the students in his class do not pay attention to him. This is a tough situation and it sparks a necessary conversation the teacher needs to bring up in the classroom community. Creating a classroom community where everyone feels safe and welcome is vital in helping students learn. Creating a classroom community is something that needs to be established the first week of school and maintained throughout the school year. Below is the list of picture books I recommended to help address topics about accepting difference and valuing people with special needs. Looking After Louis specifically addresses Autism, whereas the other books address difference with out blatantly saying anything about being kind to people with special needs as with Todd Parr’s It’s Okay to be Different.